Let’s make meatless meals fun again! 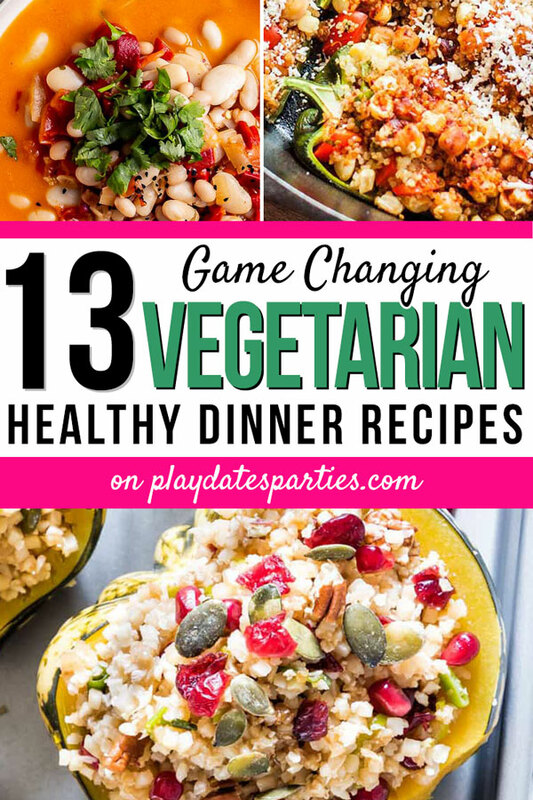 It all starts with these 13 oh-so-tasty healthy vegetarian dinner recipes. Are you ready to get started? Then keep reading! Lent. The season of fish fries and fasting is coming upon us quickly. 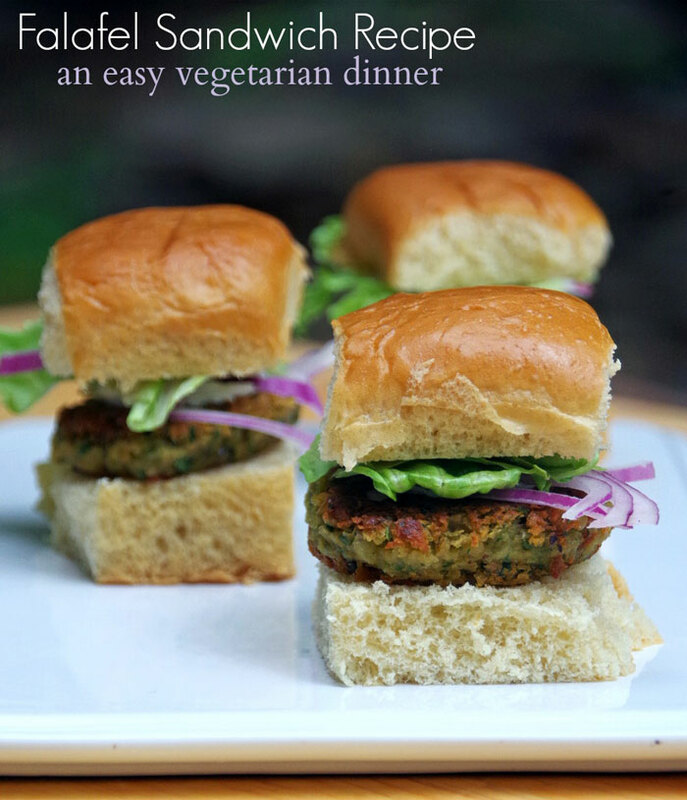 But I have to be honest…I’m so bored of the same old lenten vegetarian dinner recipes. There are only so many times I can eat pizza, pasta, and fish sticks. It’s time to infuse some flavor into our Lenten meals! But here’s the rub…I’m also trying to be healthier with my food choices. As if it isn’t hard enough to find easy meals to make on Friday nights (when I’m already exhausted from a long week). If I’m going to try to make healthy vegetarian dinner recipes, they’d better be interesting. And, you know what…it turns out that’s a lot easier than it seems! I asked several of my blogging friends for their best healthy vegetarian dinner recipes and boy did they deliver. Dinner’s about to get fun again! The best thing about spicy food is that it helps you feel full faster…probably because you’re so busy wiping your nose that you have plenty of time to feel full. 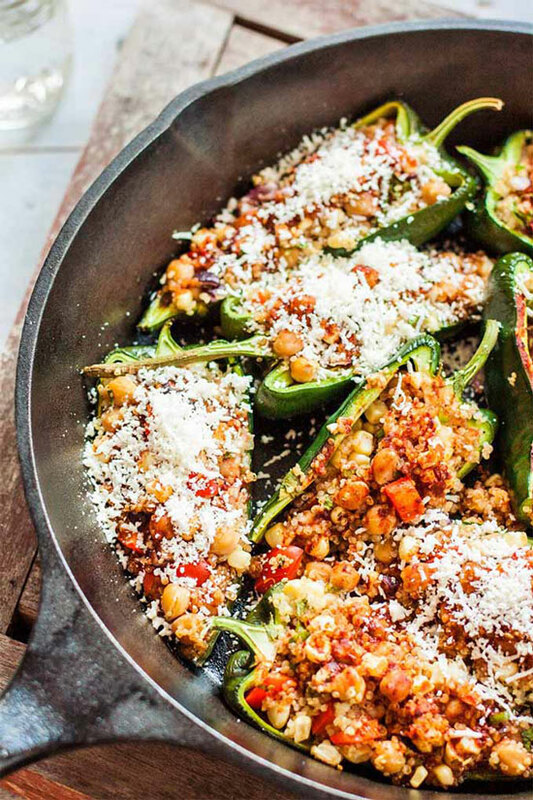 😉 And these Vegetarian Stuffed Poblanos from Foodal look like a delicious way to add a little kick to your diet. 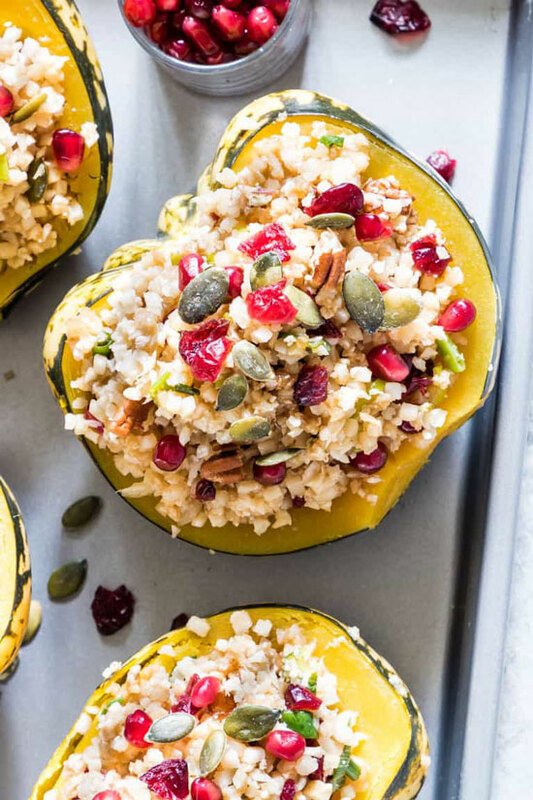 Doesn’t this Stuffed squash with Cauliflower Rice recipe look amazing? I love all the colors, the added crunch from the pepitas, and that it uses my new favorite cooking tool…the Instant Pot! Seriously, Recipes from a Pantry has me drooling all over my screen with this one. 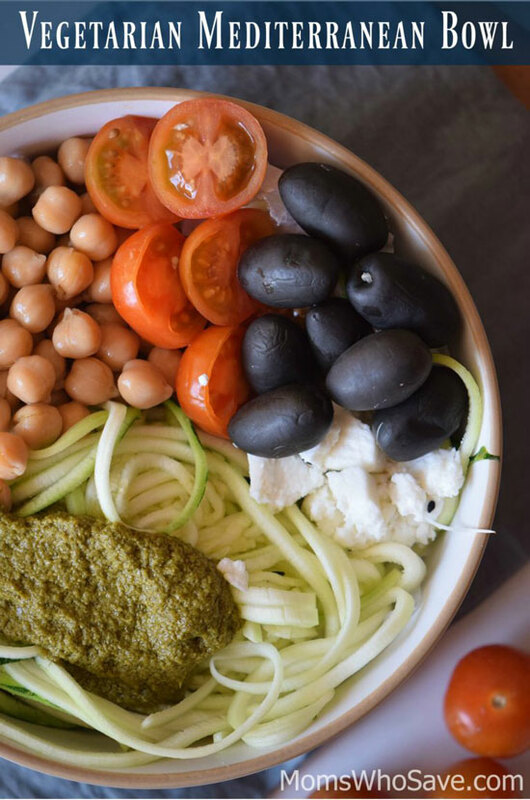 Spiralized zucchini is so awesome when you’re craving the comfort of pasta, and this Mediterranean Veggie Bowl by Moms Who Save is full of veggies and fiber, which is so good for staying full. 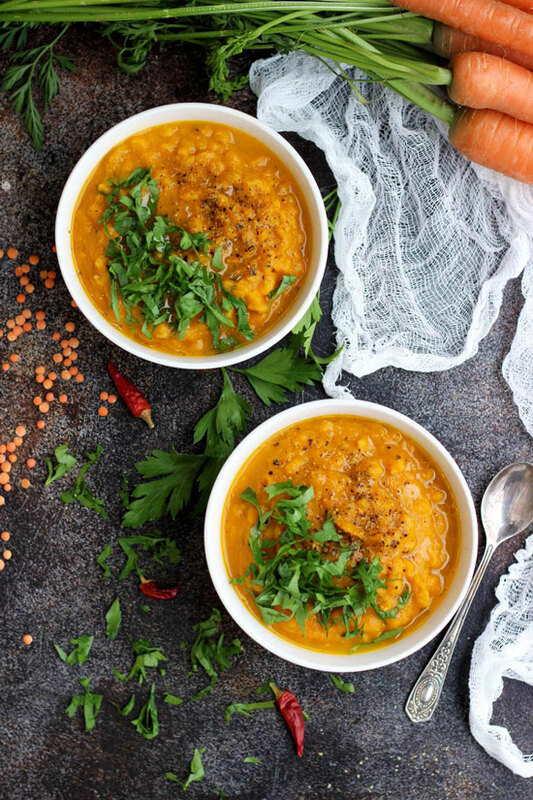 I just can’t wait to try out this vegan Roasted Carrot and Lentil soup. Happy Kitchen Rocks uses a lot of spices to make it flavorful, but I bet curry powder could be a tasty variation if you’re pressed for time. 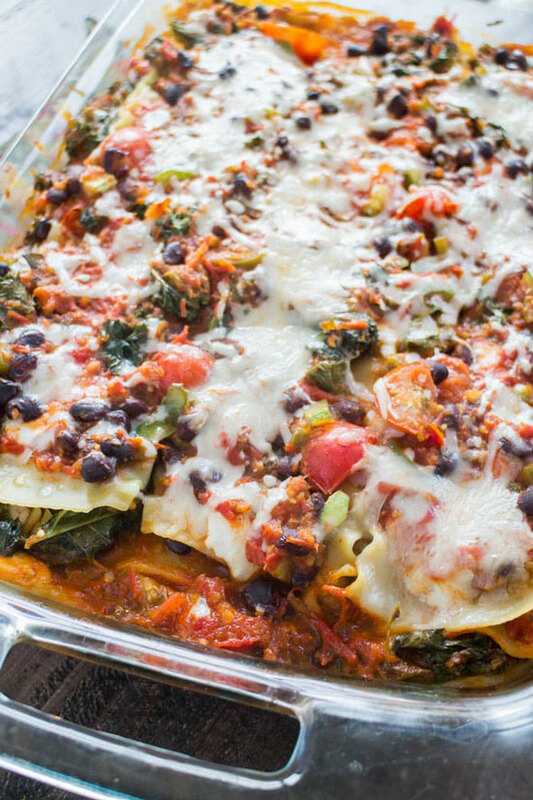 Easy, healthy, yummy, and comforting. 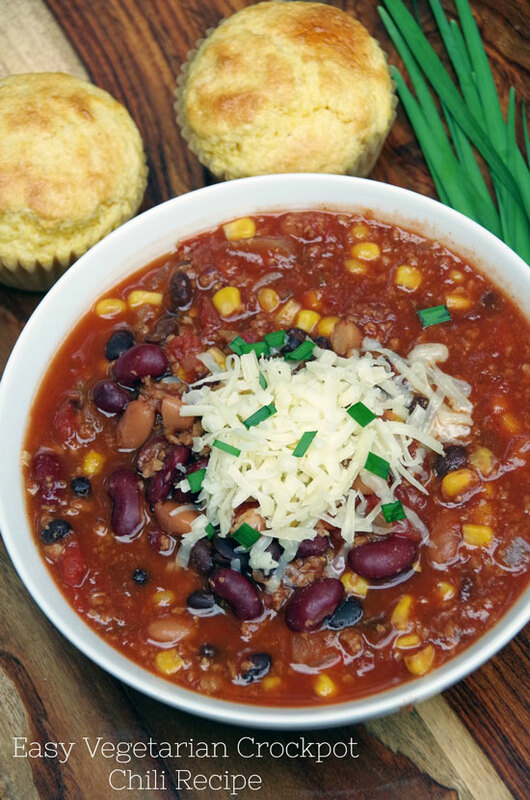 That’s exactly how I’d describe this Vegetarian Crock Pot Chili recipe from Turning the Clock Back. And I can’t wait to pull it out as a great game day option, too! P.S. – This would be amazing with my ridiculously easy beer biscuits! OMG, when I saw this recipe for Falafel Sandwich from Suburbia Unwrapped, I nearly fell off my chair. Falafel is one of those treats that I often crave, but seldom get to enjoy. Yum! Who doesn’t love a healthier take on classic stuffed peppers? 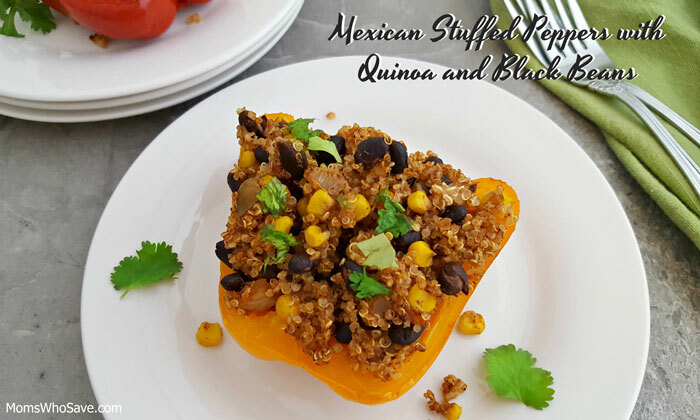 By substituting quinoa for ground meat in Moms Who Save’s Mexican Stuffed Peppers, you keep the protein count high and a touch of chipotle is perfect for adding a delicious smoky flavor. 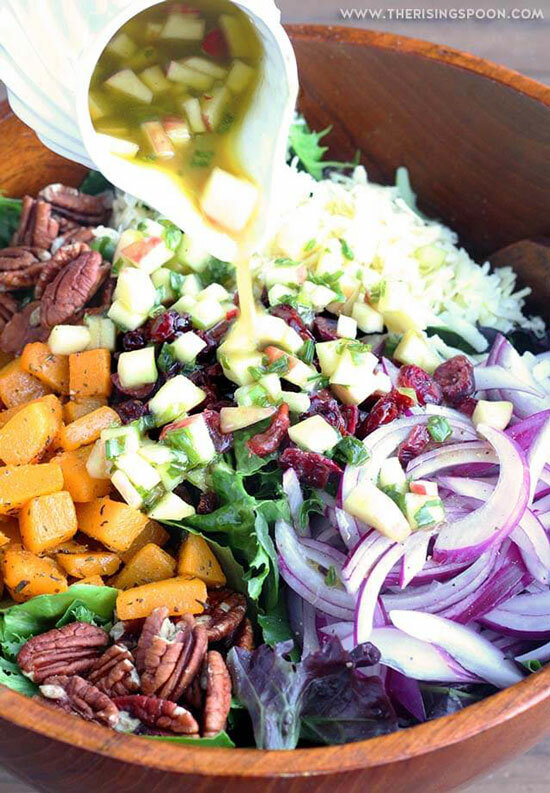 Mmmm, The Rising Spoon’s autumn salad with butternut squash, cranberries, candied pecans looks like the perfect way to satisfy my sweet tooth while staying healthy! RELATED>>>>Get even more healthy recipes right here! The first thing my husband asks for during Lent is lentil soup. 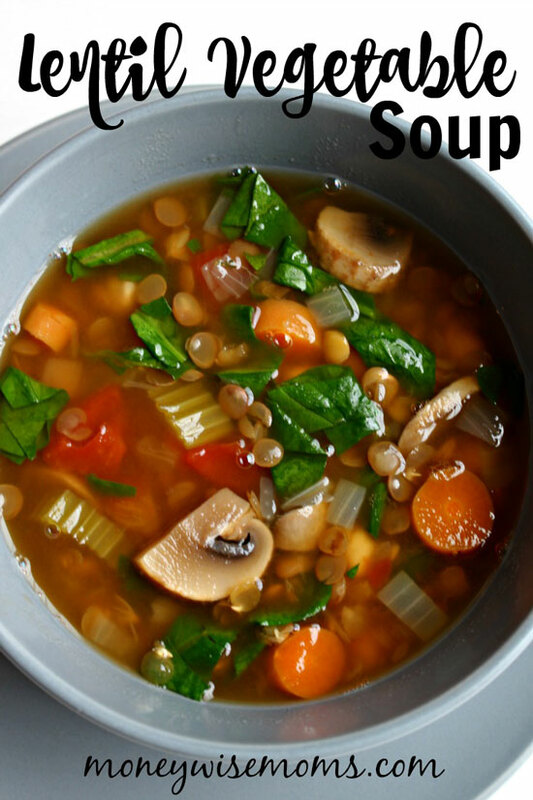 And the combination of lentils, chickpeas, and TONS of vegetables in this healthy Lentil Vegetable Soup from Money Wise Moms looks like the perfect fit for our family. You know, we don’t eat enough Greek food in our house, and I think that it’s about time to change that. 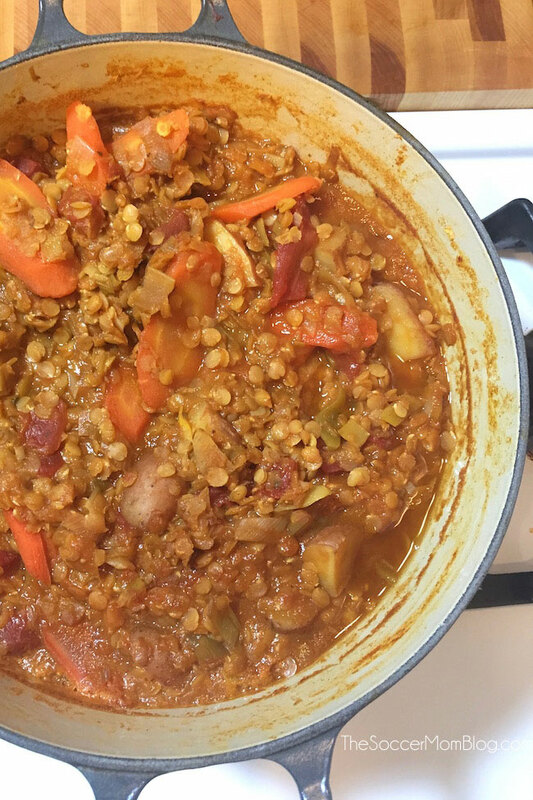 This recipe for Greek Lentil Soup from The Soccer Mom Blog looks like the perfect place to start. Yum! 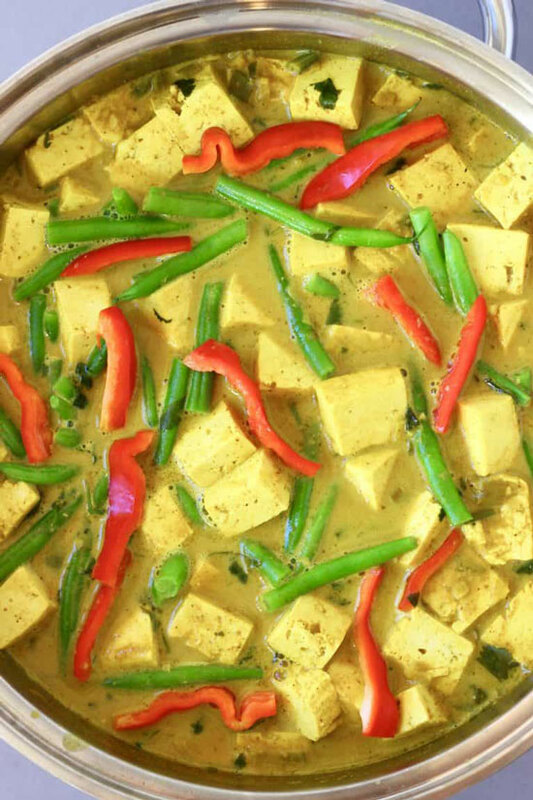 So, I was already sold when I saw the gorgeous pictures of this saucy Peanut Tofu Satay Curry from Rhian’s Recipes, but when I found out it’s also ready in 20 minutes and in 1 pot, well, call me double sold! I can’t wait to try this out! I love soup on a cold day…when I can pair it with something to chew, like a crusty French bread. 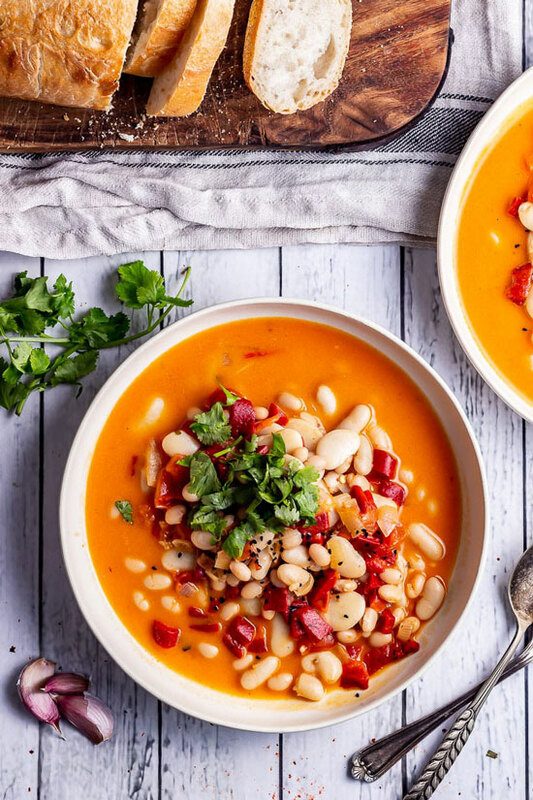 But with plenty of white beans in this Red Pepper and White Bean Soup by The Cook Report, that loaf will be totally optional. Yum! I know that fish fries have their place in Lenten tradition, but with these 13 healthy vegetarian dinner recipes, there’s no need to be bored with our Fridays? Which of these recipes will you be making this Lent? 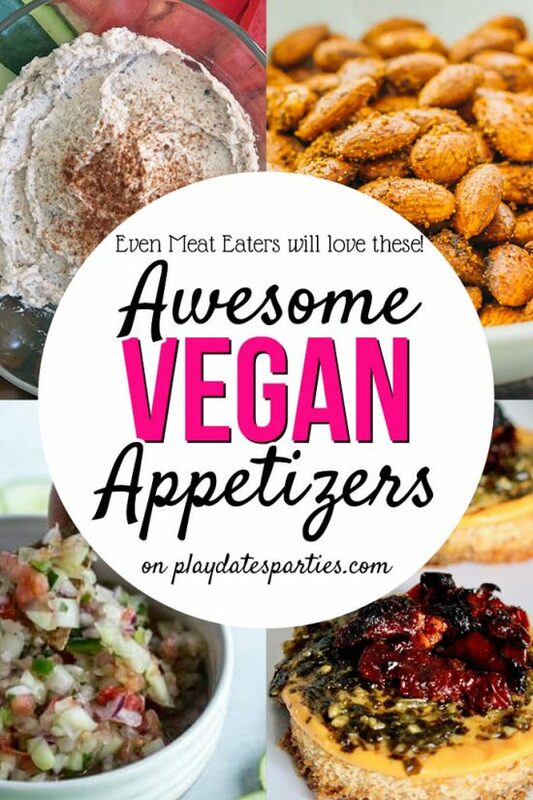 Do you have any favorite healthy vegetarian dinner recipes? 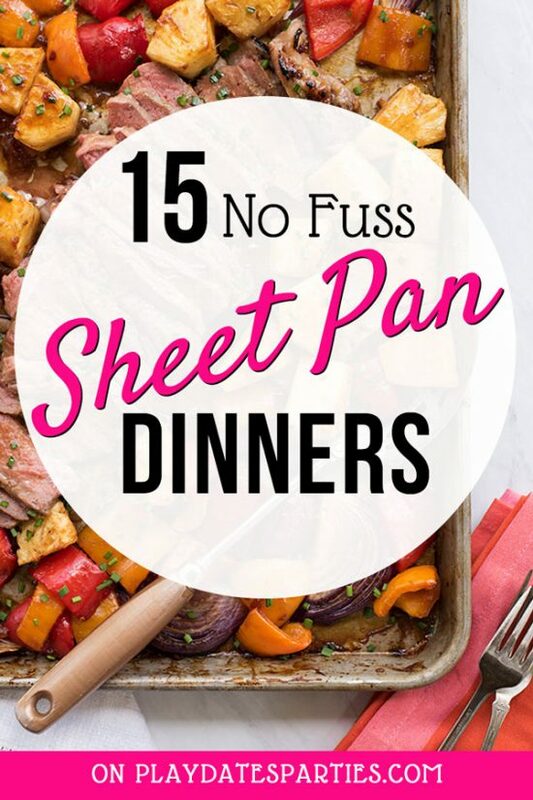 These are such great ideas for meals! I need to work on my menu planning! Menu planning is so hard, but so worth it when it all works out right. Thanks for stopping by! 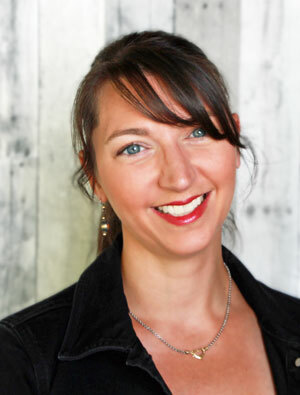 Great roundup of fab food!